Ever since I was a young girl, I have loved greeting cards. There is nothing better than walking through a Hallmark store or other specialty stores that have unique and wonderful cards to look at and touch. As I grew into adult-hood I became card hoarder. 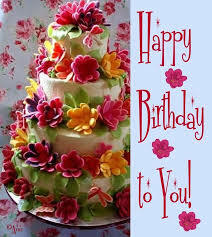 I would buy cards believing that a special occasion would come along and I would have the perfect card. The occasion would arrive and I would decide I needed to buy a different card. I was too attached to the original one to let it go. Was the person special enough? Was the occasion the right one for that card? What if I found a more perfect card? I continued to collect greeting cards from all over the world. I had boxes full of them. They were all so pretty and special. Some were funny , others were mushy (a little), some were ponder-some. The photos were breath taking. I loved to find the ones that showed the wilderness or our National Parks. I love cards. Small ones, large ones, all sizes and types. When I moved from my home I gave many of the cards away. I did keep some and found them the other day in my storage locker. It was a joy to meet up with old friends. 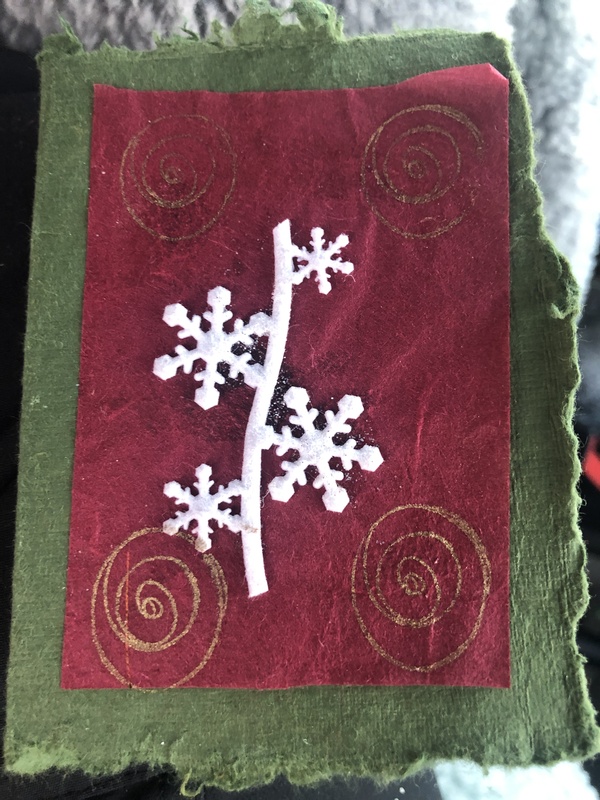 This holiday season I received a hand made card from a good friend. I hope she knows how much it thrilled me to receive this card. It is now sitting on my front visor so I can see it when I get in the rig to drive somewhere. It and Beth continue to make me smile. Along came the world wide web. I slowly stopped sending cards opting for e-cards on the free or almost free web sites. Jacquie Lawson is my favorite. I love receiving and sending these cards. There are many other sites and when I get a little blue I will peruse these sites, enjoying the novelty of animation and the beauty of the card. I even got one from a friend this Christmas that was an animated Santa who knew my name and talked to me like I was right there. A few days ago I was meandering through Target while my Roadtrek was being worked on and I came across the card aisles. The pleasure of seeing paper cards has not decreased. I love to hold them and read them and enjoy a moment with this simple pleasure. Sometimes I just enjoy looking up and down the aisles and see the plethora of cards in front of me. What a simple delight. I have become practical living this small home lifestyle. I read on my Kindle app or through the library, I watch Netflix on my Apple TV or my computer and I send cards on line. I am content, yet there is this wee little part of me that looks forward to the day when I can once again go out and buy a paper card. It will be good to be able to pick the perfect card for the perfect person. Until that time though I will meander down those store aisles and enjoy the beauty of all those cards. Now don’t get me started on pens. 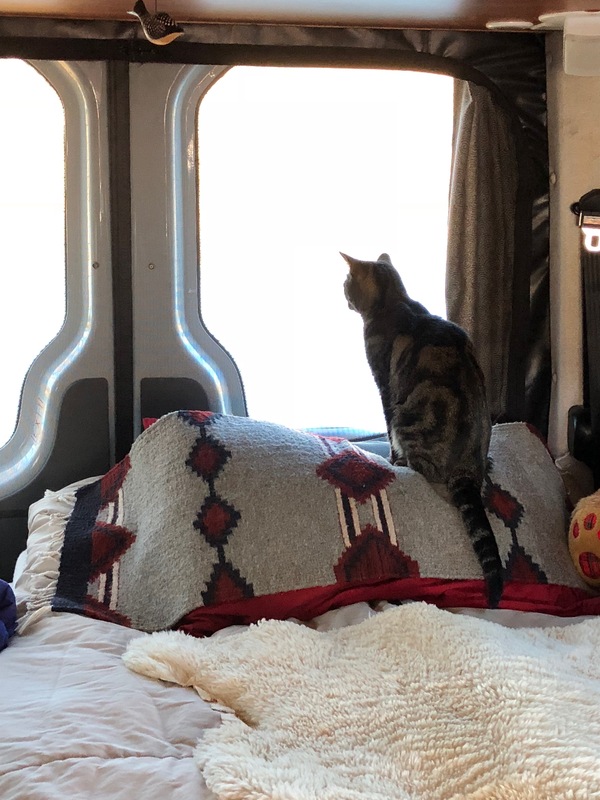 I am getting ready to become mobile in my Roadtrek with Elsie the Cat. Around this time I start to get questions from others: What are your plans for this year?” “Where are you going next?” I often hesitate because I really don’t know the answer. I was hoping to go to mainland Mexico with friends for the winter. The rig is ready, diesel fuel supposedly can be found better on the mainland than Baja, Elsie is set (records and shots are up to date), and then….. I am staying within a day’s drive of San Diego for the next few months. Why? Yes indeed, why, is a very good question to ask. Returning to San Diego is always an unknown. Can I come in and get back out without anything too caustic happening? This year I limped in and I am walking out, however, I will be back sooner than planned. Surgery is pending on my thyroid. A pesky little nodule that was found seven years ago, following a bicycle accident, is growing a bit too fast. It is growing a bit too fast for the endocrinologist and my surgeon and me. The biopsies have been benign and the choice of what to do was left to me. Oh great leave a decision up to a Libra (sic). After weighing all the alternatives, taking into account my history of breast cancer and my favorite surgeon retiring in a year- I decided now is the time. Now is a relative term. Sometime in the next twelve weeks I will get a call from Kaiser giving me a date for surgery. Although heading for the desert is my goal-I plan to leave on January 8-the desert is going to be a little closer than originally planned. It is time to rediscover the Anza Borrego and the California desert. Palm Springs is on the agenda, too. When I get “the call” I will be a comfortable day’s drive back to San Diego. So these are the facts yet the truth is, although I made the decision with wise and good input from people I respect, it is still surgery. If I take the time to let this chain of events into my every day consciousness, I am a bit nervous and unsure. i don’t know the outcome. I don’t know what surgery will be like. I don’t know what recovery will be like. I know I will need to go on medication. What will that be like? And even more basic questions involve the logistics. Where am I going to stay? How do I get to day surgery and how do I get home? Where is Jim when I need him? How do I do this on my own? And the list goes on. Here is what I do know. I want everyone to support me in the most positive way they can. I don’t want to hear any horror stories. You don’t need to share surgical or medical horrors with me. I already know them, remember I used to be a nurse. I don’t need anyone second guessing my doctors or the medical health care system I am a part of (Kaiser). Please don’t suggest alternatives. You can trust I have researched them. My full medical team includes all of the above doctors mentions and an acupuncturist, a massage therapist and more. Hopefully I have got it covered. What you can do is to tell me good stories and good outcomes. Give me a call. Divert my attention. Love me a lot or love me a little.. And if you can’t be positive then be silent and wish me well. Meanwhile it is time to finish up in San Diego and get some hiking in. I need to find a few slot canyons and, hopefully enjoy a bit of warmer weather. It is time for Miss Elsie to roll in the desert dirt and sand. It is time to adventure into the New Year with as much gusto as I can. Happy New Year and on to new adventures. 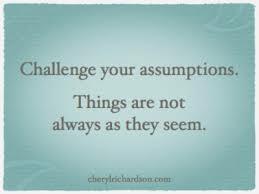 Lately I have become aware of the common assumptions many of us make. As an example, “I didn’t invite you because I didn’t think you would be interested”. This is a very common one, one that, I am so sure, I have made many times over the years, without considering what I have done. 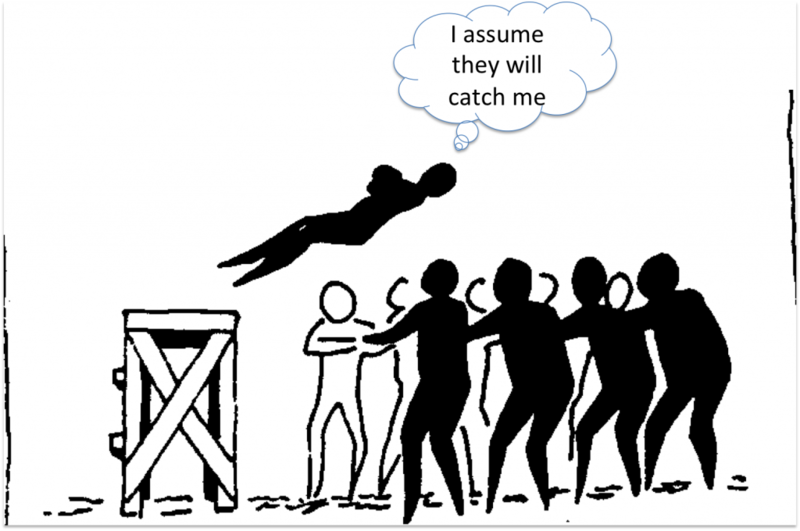 Why we make assumptions about others appears to be a very human condition. Is it a good idea to make these assumptions? I am beginning to think that it is not. It short changes me and it short changes others. An assumption directed at me, recently, is that Christmas and the holiday season is not a big deal to me. When Jim was alive we usually spent the Christmas holiday with his family. I enjoyed the company and fun day we all had together. It was good to be with family and friends. I love gatherings. Since Jim’s death I have been wading around in uncharted territories. I don’t know what to do with myself. I mean, I would love to spend the holiday with others, however, it is a time for family and often family forgets that there are those of us who are single and alone. I find myself hesitant to invite myself to other’s homes. I don’t want them to think they have to say yes. It becomes a trap for both sides. Instead I buck it up for another year, find things to do to keep myself occupied and move on. Jim and I loved to include others. We invited our single friends to go on vacation with us. Our hosted dinners were an inclusive affair, everyone was invited. You didn’t have to be a member of a certain group of people. Singles and couples were invited. I know I tried my best to include everyone. I love my friends in all their forms, single, married, living alone, living with others. I find it easier to be inclusive than exclusive. It sure makes for a more animated and fun event when others get together. Before I met Jim I was single for my whole adult life. I was also working as a nurse. I often would work the holiday shifts, money was good, and it allowed others with family to have the time off to enjoy their holiday. If I wasn’t working I went back east to my family’s for the holidays. Now I am many years older and still trying to figure it out. I love adding events to my calendar. So far there are two and I look forward to both of these parties with anticipation and joy. I have decided to go see the Nutcracker. I know it is a bit of a cliché but I love the ballet. I would have gone to the Nutcracker with Jim, but he was somewhat of a bah humbug when it came to this holiday. I believe I need to find the events that speak to me and take action on them. Today I left my house and chicken sitting job for the last time. 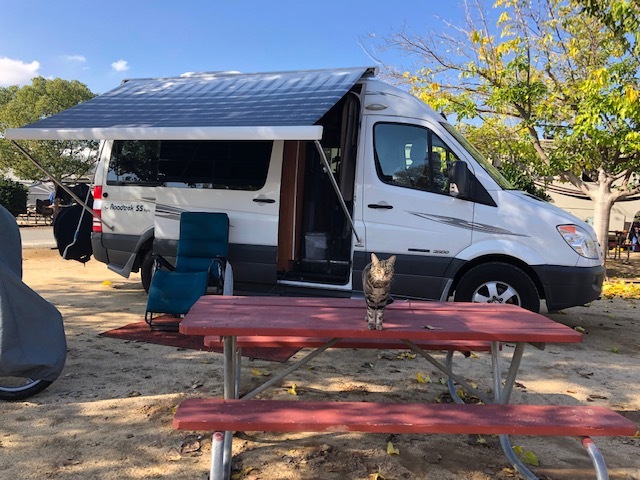 Elsie and I have moved in and are in east county San Diego, to camp and enjoy some time at Santee Lakes. I will remain there through the holidays. I am looking forward to being back in my small home on wheels. I am gradually looking forward to the Christmas season. I may stumble my way through it ,yet, I will seek out those moments of joy and fun. And, for the coming year I am going to attempt to be aware of the assumptions I make regarding myself and others. 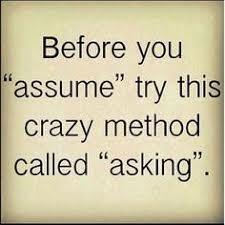 I would like to stop assuming. If I want to include others in my adventures, I will out right ask them to come along. If they say no, I will try to remember it is not personal. Sometimes others may have other things to do or they just aren’t interested. And, just maybe, when I invite others along, one of them may say yes. Oh what fun will ensue. Working my way into December. Feeling thankful. Last week I spent six days with friend of mine, Mary and her dog, Shay in Idyllwild CA. 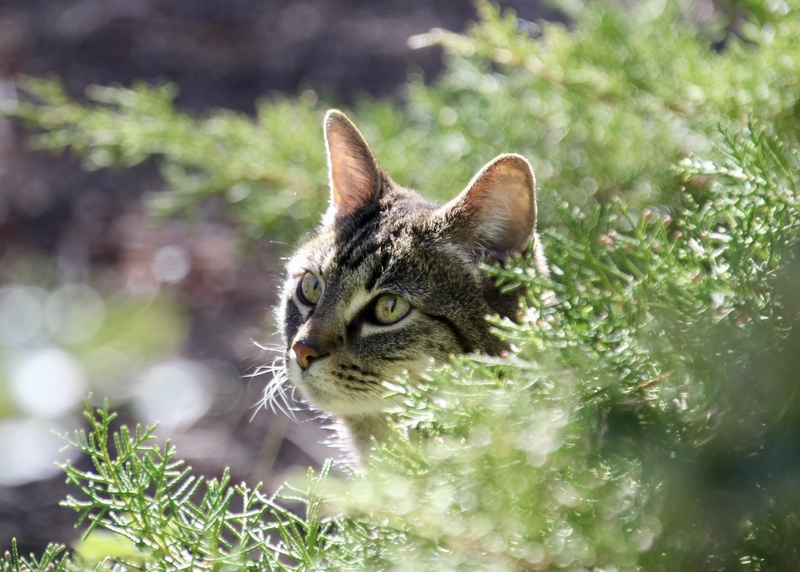 Idyllwild is in the mountains approximately one and a half hours north and east of San Diego. It is a delightful small mountain town that relies on tourism and second homes. Mary gets to enjoy this town as her first home. Jim, my husband, was first the Director of Admissions and Records and then the Dean of Counseling at Grossmont Community College, in San Diego County. He had many people working under him. More than half of them were women. I heard many stories about these colleagues of his over the twenty one years we were married. After his death, six years ago, several of these women stepped forward to support me in this life change. We went to dinner. We went to the movies. We walked on the beach. We talked, a lot. Over time, as expected, many of these friendships have faded. There are a few that remain and continue to deepen over time. I am grateful for these few. Mary is one of those friendships that started while Jim was still living. Since his death we have met up several times. Over the past few years we have become closer friends. I enjoy spending time with her. We walk, we talk and mostly we enjoy each other’s company. Mary inspires me with her political and social activism. She inspires me with her can do attitude. There is a comfort level between the two of us that is often found in much more mature friendships than ours. 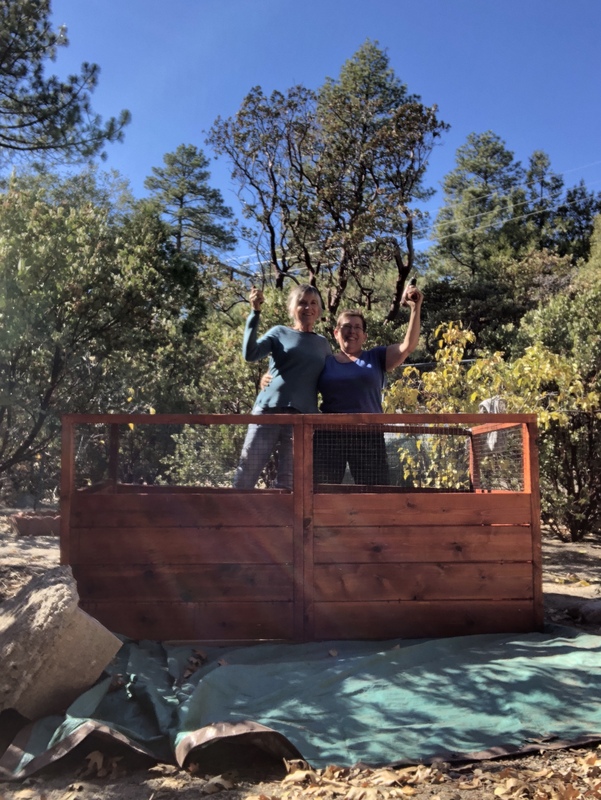 In the six days Elsie and I spent with her we did projects (put together a composter, built a raised bed garden, stained boards for her new deck) and boy did we talk. When stupid accidents happened (I am the queen of these), we laughed, cleaned it up and moved on. I am so thankful for our growing friendship. It is important to me. 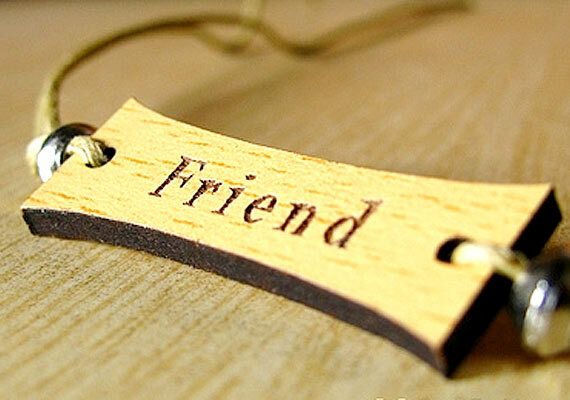 I like friendships that show promise of deepening and strengthening. I like friendships that make me laugh and encourage me to grow and become more. Yvonne is another woman I initially met through the college. She and I are tour guides in San Diego. Since Jim’s death Yvonne and I have found time to do “stuff” together. We explore pubs together. There is nothing better than sharing a beer and catching up with a good friend. When I am on the road the phone will ring and there is Yvonne calling to catch up. I appreciate these calls when I am alone out there in the world. Each one means so much. For that moment in time I feel a little less alone. It reminds me I am part of something greater than myself. It is a good reminder. Today I am thankful for Mary and Yvonne. Today I am thankful for my family of friends. Today is Elsie’s and my last day in this beautiful home. We have had a good month. Elsie likes the room to run and I have enjoyed the quiet and beauty of this home. I have learned a few things. I don’t need 2500 square feet to live in. When I first arrived I went from my bedroom to the kitchen. After finally giving myself permission, I expanded my space to the den and sun room. The formal dining room and the master suite were areas that I explored very little, if at all. I like being still. I liked having a place to come home to after appointments and walks. I really like being surrounded by beauty. A good hot shower was a delicious treat for me. The shower in my RV is a bit on the small side. Another treat is having a washer and dryer handy. I enjoyed Therese’s art room. It is light and airy and has really good vibes. As I lay in bed at night it was a delight to hear the coyotes howling in the canyon. I really like coyotes. I like chicken sitting but I would not choose to be an urban farmer. Fresh eggs were a treat to be savored. When the hip bursitis got bad I fell in love with the couch in the den. It was one place I could lay without any pain. It is a magic couch. Sometimes it is good to have someone take care of your home. A week ago one of the drip irrigation pipes broke. I went outside to find water rushing down the driveway. This neighborhood is so quiet, it may have taken a while before anyone noticed this. I like the pool but I am not sure I would like the maintenance and upkeep. I liked having a garden that I could play around in. I love pruning and making a yard look nice. Here is the beginnings of a list of what I will look for when I am ready to move back into a sticks and bricks type home. The longer I stay in one place the more I begin to long for a sense of permanence. I continue to recognize the longing for community. It is hard to do when one is “on-the-road”. I am not done with this house quite yet. I move back in for two weeks over Thanksgiving before my house sitting gig is done. It has been a fun and interesting adventure. Today I vacuum and dust and clean. I want my friends to come home to a happy and well cared for home. I know they will have many tales to tell. Tomorrow Miss Elsie and I move back into our small house on wheels. We are going to camp on San Diego Bay for a few days before venturing off to visit friends. Today I am thankful for good friends, lovely homes and my Roadtrek RV. Aging is not always fun. My body changes shape. Wrinkles show up. Aches and pains are not as easy to get rid of. Words that I still have to get my brain around – hot flashes, menopause, osteopenia, cancer, arthritis, weight gain and more. My latest one is Bursitis. I limped into San Diego. Yes limped. By the time I arrived here a month ago I had a sore right hip and knee. The IT band felt like it was on fire. Immediately I started the rounds. Chiropractics and laser helped some. Acupuncture was another good alternative. Myofascial Release and Massage also helped trim the pain. Nothing was getting rid of it. After this past week, continuously being sore in my hip and leg, I decided it was time to visit the Doctor. Off to Kaiser and a meet up with a very nice doctor. After reassuring me that he did not think this was cancer he did several tests, including kinesiology (how cool is that for a western doctor?). I was diagnosed with Bursitis in my hip. He recommended a cortisone shot into the bursa in my hip. I was hesitant. We spoke of the side effects and the expected outcome. He told me that he was glad to see I was being a strong advocate for my health care and he would do whatever I would consider best. I left with my first cortisone shot ever. By the time I went to bed last night the pain was essentially gone. Wow!!! It felt good, really good. I got a good nights sleep and today my world looks a little brighter. I have exercises I need to do, probably for the rest of my life. I am OK with that. Most of them are very yoga like. I really enjoy yoga. His instructions were to ice it, exercise but if it starts to get sore stop that exercise. My chiropractor tells me not to sit so long behind the wheel of my rig and walk around frequently, both good suggestions. I guess I will be back to setting my alarm so I get out of the RV every hour. Now that the pain is mostly under control, I will now work with all my practitioners to help to heal my bursa. I am not giving up dancing or hiking or walking or cycling. As long as we all understand that then, as a team, we can work on healing my sweet hip. I have my Masters in Holistic Health Education. I have always been an advocate of a holistic approach to my health. Holism means that I use the best of all worlds of medicine that are available to me. 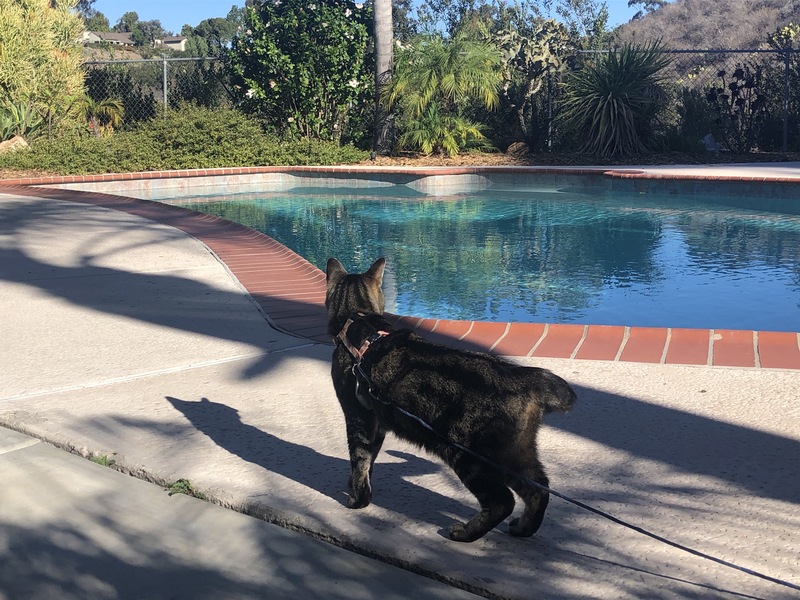 I also believe that it is important to go from least invasive to most invasive, and that was the path I chose when I returned to San Diego. It is OK to employ western medicine. I mean there is so much out there to help, why wouldn’t one use it? I went to school with so many people that despised anything to do with doctors and hospitals. As a former nurse, and holistic practitioner I had a hard time grasping the concept that western medicine could be so evil and bad. I saw how much it helped so many. Doctors and hospitals are not the enemy and I for one am thankful that I can include this medicine in my holistic approach to my health care. As I limp a little less into my day today, I am thankful. I am thankful for Dr Ceccilio who encouraged me to be active in my choices. I am thankful for all my healthcare team who can support me in the choices I make. This morning I am thankful for that little shot of cortisone. Now it is time to go to the storage unit and go to work. Yep, like I said I am not stopping. As October winds down, I am feeling relief. Relief that this month is done. Every year since I had breast cancer (I was diagnosed February 2010), this month has been a bit hard for me. I don’t like pink, never have and never will. I feel kind support for those who walk for breast cancer, who shout about being a survivor, however I am not one of those people. I have found nothing to be grateful for, for having been through the experience of a breast cancer diagnosis. Mostly I find I have residual anger, residual PTSD, and residual everything surrounding this diagnosis. I am grateful to be alive and I would like to see this event take its place in the far reaches of my memory. As you might tell, I am still working on it. Each year at this time I worry a little bit. Is my mammogram going to be normal? Will my surgeon and oncologist find anything? Is that weird pain in my hip cancer? Ay Yi Yi Yi. 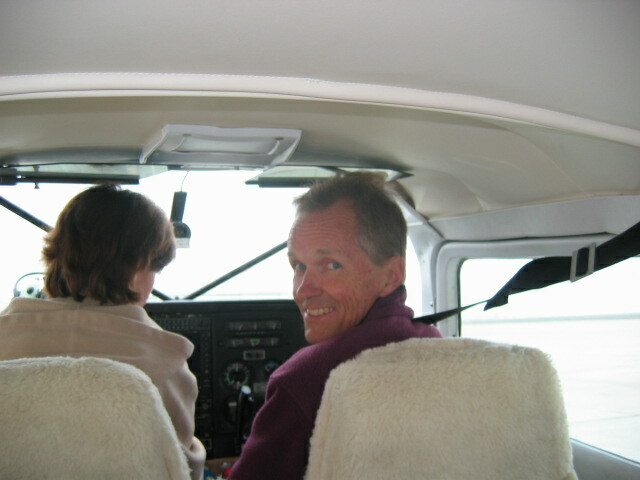 Jim, my husband, died from cancer 6 years ago on October 17. Shall I mention that this is the day after my birthday? He went into the hospital the day before his 60th birthday (October 10) and died the day after mine. Well there is something to get through. I have not enjoyed celebrating my birthday in big bang up way. I like to be quiet now and contemplative. I describe those three and half years between my diagnosis and his death, like a deck of cards. They were thrown up in the air the day of my diagnosis. Just as I was beginning to pick up the cards, boom, the next event happened and the cards flew into the air again. I have been slowly picking up the cards ever since. I still can’t find some of them, ergo, I remain living in my RV and drive to the next destination hoping to find another card. This has been an adventure, a painful process, a lonely one too, times of great fun and exploration and everything in between. Here is what I am appreciative today. My kind and wonderful friends from all over the world who call, email, text and contact me through social media. When I need someone to talk to, out of the blue one of these friends will call. They have saved my day, my life, my moment more often than I acknowledge. I am financially comfortable. I could buy a cute and fancy RV and move in. I can afford the repairs (they don’t come often), the gas and everything that supports this nomadic lifestyle. I am alive and able to go on grand adventures, both small and large. Elsie the cat-what would I do without her? She is one of the most adaptable and loving companions I could have. We are into our fourth year of adventures together. She remains a delight. I am glad to be able to see the sunrises and sunsets. Each day I wake, is another day to be grateful for everything. The doctors, chiropractors, acupuncturist, massage therapist, myofascial release practitioner, and all those other health care workers on the broad holistic spectrum that keep me tuned up and moving. My friends and acquaintances that offer me a bed in their home, whether it is a visit or house sitting. Sometimes I need a respite from my little living space. I appreciate everyone waiting and giving me room to figure out what is next? No-one else is judging me. I need to stop judging and being hard on myself. You know that saying, “It is all about the journey, not the destination”-I still need to learn this. 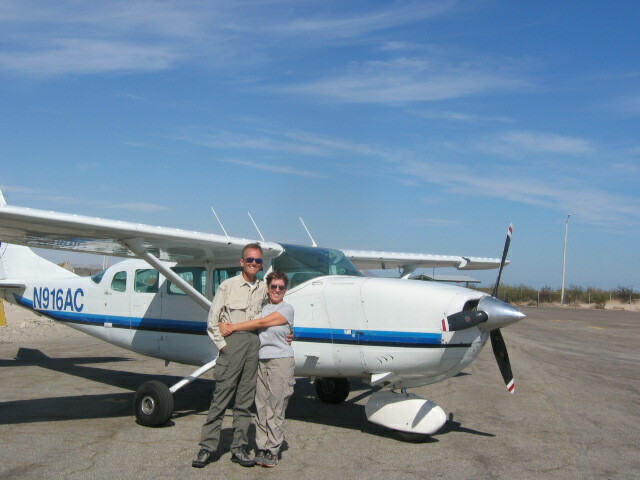 Jim & I flying to Baja for a week on a deserted beach. There are three days left in this month. I don’t count them down anymore. I feel I have made progress in acknowledging this month and not feeling quite as sad or out of sorts. One of my friends asked me this month, how I felt about the “whole Jim thing”. Well there is a loaded question. Each moment of the day the answer could be different. I believe I have come to a softer acceptance of this month, of the events that transpired six years ago and I still miss by dearest and best friend. Jim saw things in me that no one else has ever seen and I will always miss this about his love for me and mine for him. 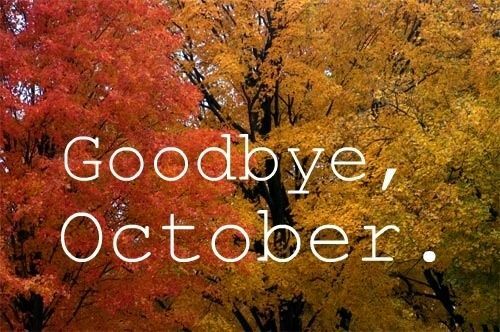 I bid farewell to October, thankfully doing a bit more than just getting through the month. I embrace and welcome November. I embrace and welcome each day I wake up in the morning and am able to figure out what small adventure I will take myself on that day. Today I am grateful for all of my friends, acquaintances and all of the followers of my blog, who send me messages of support and encouragement. Today I am grateful for people.